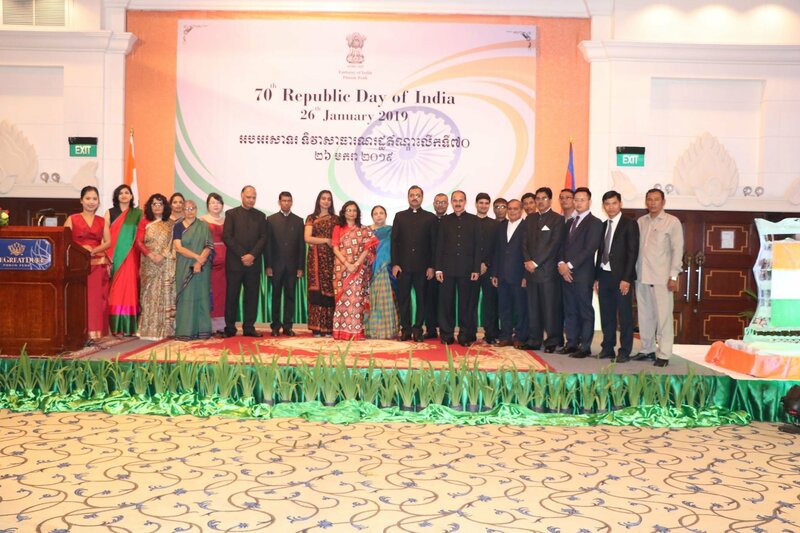 On the occasion of 70th Republic Day of India, Ambassador of India hosted a reception for Cambodian Ministers, senior officers, diplomatic corps, media and Indian diaspora. 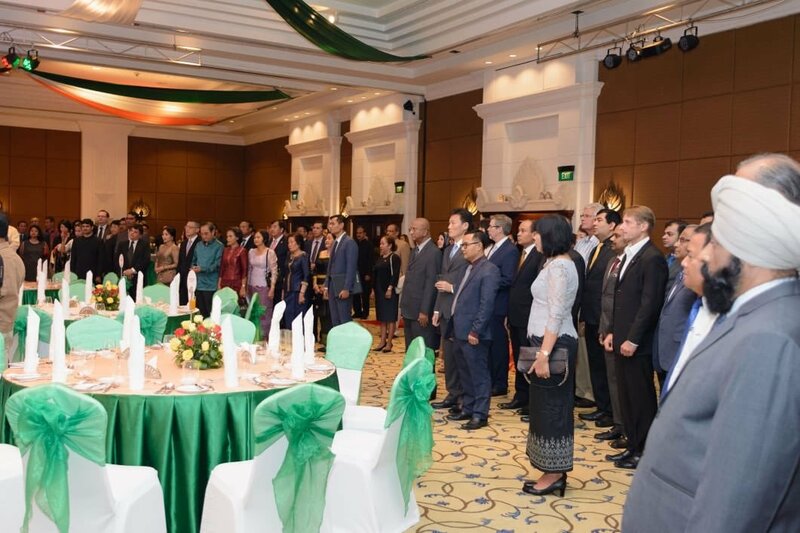 Reception was attended by around 200 high dignitaries with H.E. 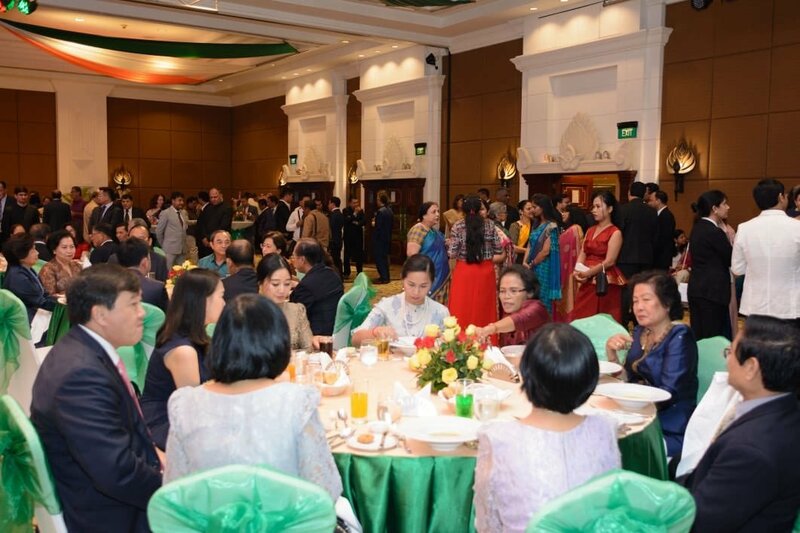 Dr. Ing Kantha Phavi, Minister of Women's Affairs, Royal Government of Cambodia as Chief Guest. Ambassador in her address thanked H.E. Dr. Ing Kantha Phavi for her gracious presence in the event and welcomed the guests. She highlighted various aspects of India’s metamorphic journey during last 70 years of becoming Republic. Vibrancy of Indian democratic system was indicated. 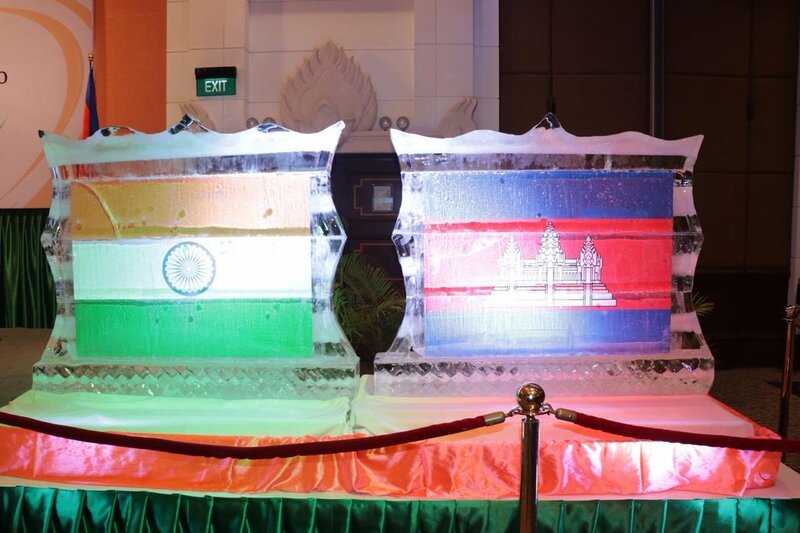 She described various facets of bilateral cooperation between India and Cambodia in her address. H.E. Dr. Ing Kantha Phavi, Minister of Women's Affairs thanked India for all the assistance later has provided during last several decades. 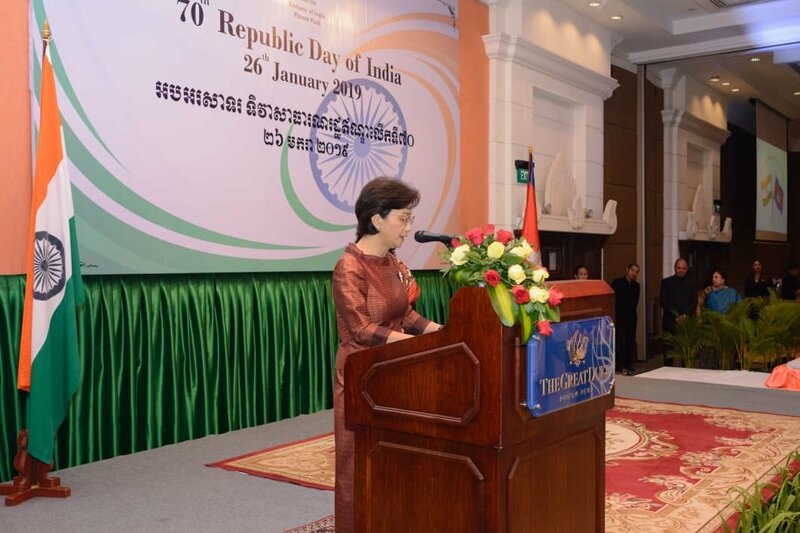 She also mentioned about the visit of Prime Minister Samdech Hun Sen to India during last year's Republic Day celebration. 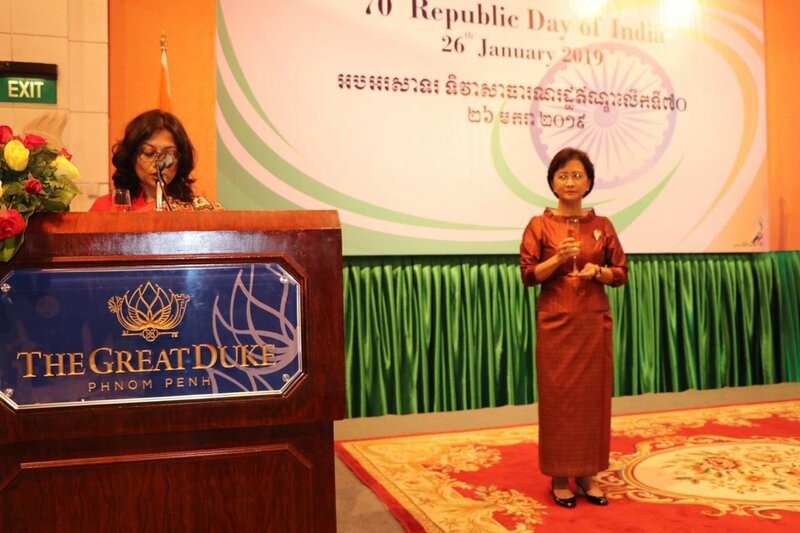 Distinguished guests enjoyed the Bharatanatyam dance performed by Embassy's Indian Bharatnatyam teacher which followed speech of Ambassador and Chief Guest.